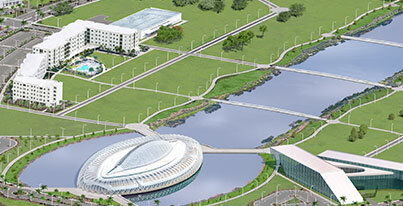 The Florida Poly ID Card is the official identification card of Florida Polytechnic University. It is issued to all faculty and staff and is required for students to access essential campus services. The card serves as a student and employee ID card and can be used to pay for purchases in the dining halls (with a paid meal plans) and several online services, including the library and printers/copiers. The card also provides access to university buildings. Several retailers in Lakeland also accept the Florida Poly ID Card for purchases. Show proof of identification, including a valid driver license, state-issued ID or passport. Students may provide an acceptance letter, class schedule, or tuition bill as proof of university status. Employees must have their employee ID number. Visitors and vendors must register at the Florida Poly ID Card Office to receive a pass. Lost or stolen cards should be reported immediately by calling 1-888-820-0454 (24/7) or visiting the Student ID Card Office in the Wellness Center during normal operating hours. ID holders are responsible for all transactions that occur before their card is officially reported as lost or stolen.